Council will consider the McDonalds application for Tecoma (YR2011/647) at its next meeting on the 11th October, 2011. Due to the extensive public interest in this application council has decided to move the meeting to a larger venue to accomodate community members who may wish to hear the deliberations. Given the amount of interest council has also agreed to hear 3 speakers against the application and 3 speakers for the application (it is usual custom to only have 1 speaker for and 1 speaker against). It is the Mayor's discretion as to who speaks on the evening and he will call for a show of hands as to who is interested in speaking to the item. 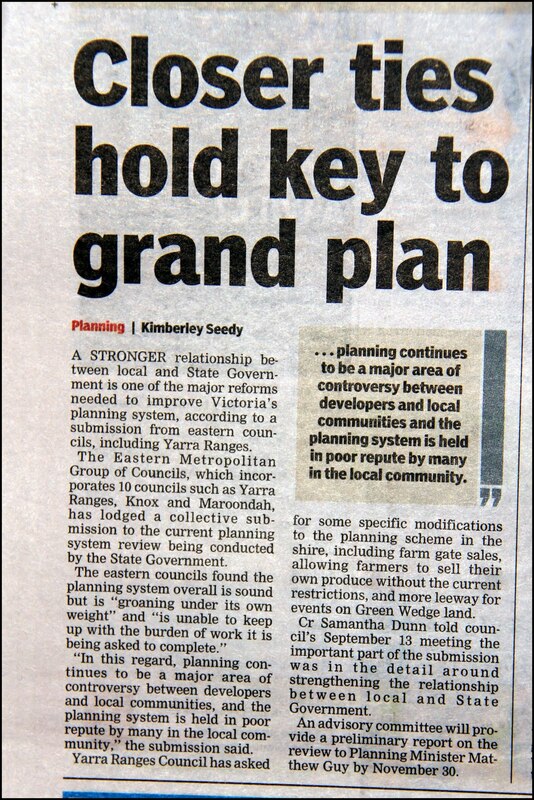 If you've got any queries regarding the planning process please email me on s.dunn@yarraranges.vic.gov.au. If you'd like to make a submission to the application please email it to mail@yarraranges.vic.gov.au. Please note your submission must indicate your name and address and is considered a public document during the planning process. 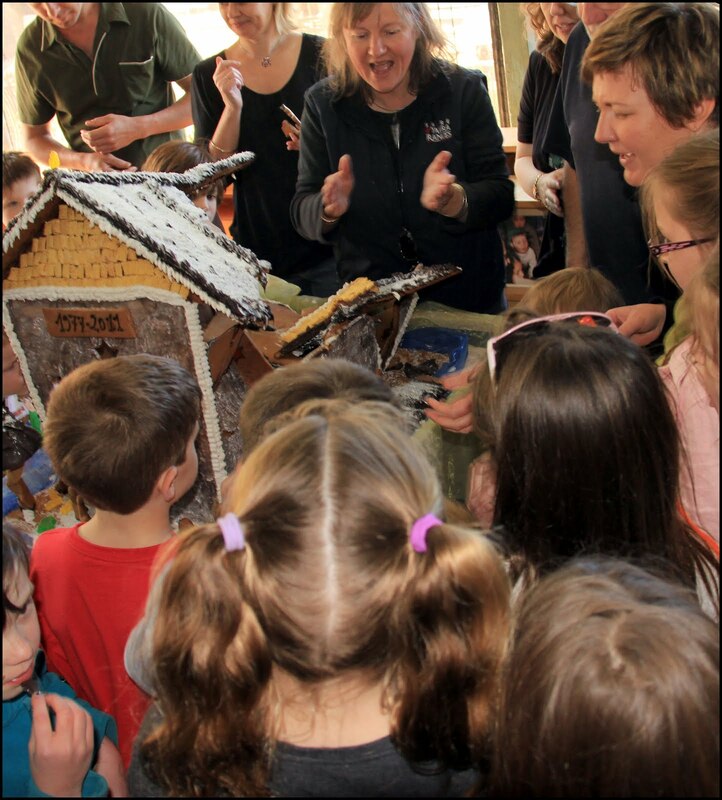 It was wonderful to be able to join in the celebrations at Sherbrooke Children's Centre (SCC) over the weekend. The centre which provides long day care to locals is about to be demolished as part of the $7 million redevelopment of Sherbrooke Family and Children's Centre (see blog). The celebration was to farewell the old building to make way for the new. 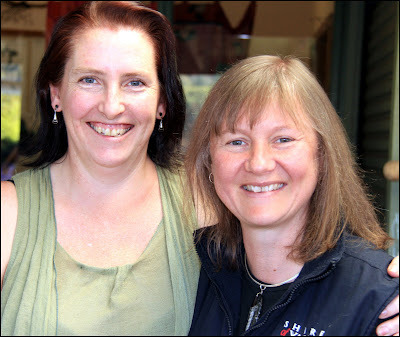 Here I am pictured with current SCC parent and ex SCC Parent's Advisory Committee president, Claire Ferres-Miles. Claire and I were both part of the Save our Sherbrooke Children's Centre (SOSCC) campaign group and met every week over a two year period to continue to lobby council to keep the centre open. Families past and present joined with staff and ex-staff to celebrate the service which has provided exceptional community based childcare to generations of children in the Dandenongs in this well used and well loved weatherboard building. SCC Chef, Antonio Frisini, was on hand for the day. 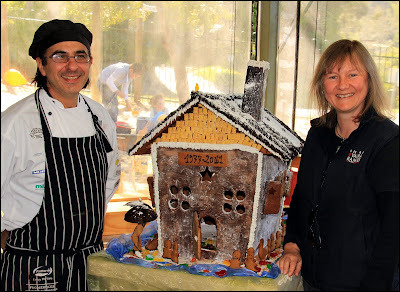 Here we are pictured with a a wonderful symbolic gingerbread SCC Antonio created to demolish as part of the day's celebrations. SCC first opened in 1977 by a group of committed strong women who recognised a need for a local childcare service to assist and support women, the centre has always been a highly sought after childcare service for families in the hills with enormous waiting lists. In 2004 the council of the day wanted to close SCC but an unrelenting community campaign kept the centre open till the lead up of the council elections in 2005. As part of the SOSCC campaign strategy to keep the centre open I ran for council and to my own great surprise was successfully elected to the Lyster ward. Pictured with Cr Noel Cliff, ready to demolish the symbolic gingerbread Sherbrooke Children's Centre. 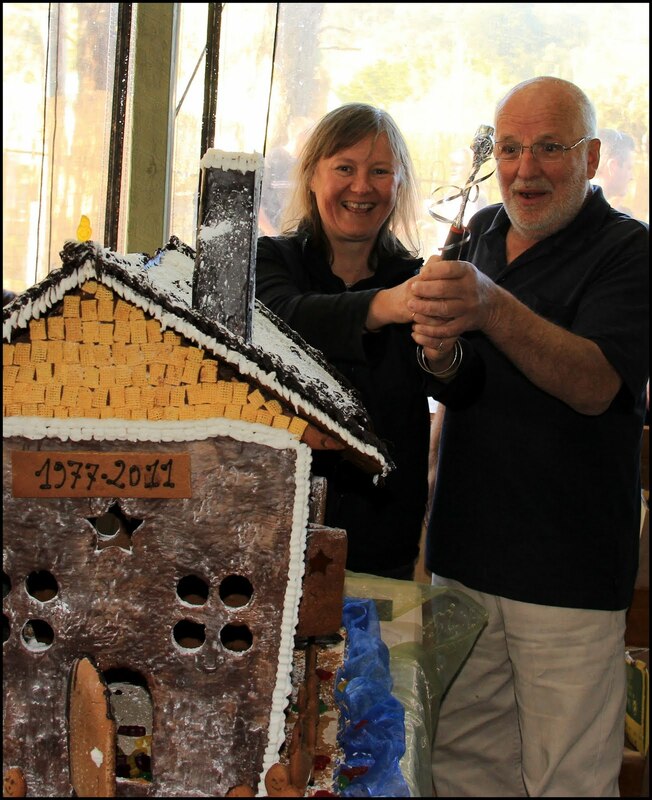 Noel along with Cr Len Cox were the only councillors who supported the community in their quest to keep the centre open back in 2004. Since that time I have continued to highlight the importance of the early years, community based childcare and the long term positive benefits of good quality childcare to my colleagues on council. I had the great pleasure to speak to the assembled crowd about my part in the history of Sherbrooke Children's Centre and the quest to save long day care in the hills. The children had a great time putting a hammer through the gingerbread house, it was a great way to farewell the old building and welcome the new. It's been an interesting and challenging journey, but I'm pleased to say that through my constant efforts, not only have council supported the project but it also has funding support from both state and federal governments. It wasn't a sad day, it was a day of celebration, although we're losing a building, it's the people that make the service what it is, not the building. It's not about the bricks and mortar, it's the people and their passion, dedication and commitment to children and families that are the essence of Sherbrooke Children's Centre and I have no doubt that essence will continue in the new facility, Sherbrooke Family and Children's Centre when it opens in 2012. 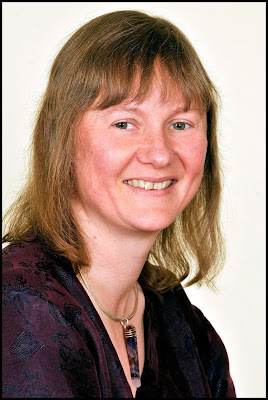 I have long campaigned for lower speed limits through our towns (see blog). 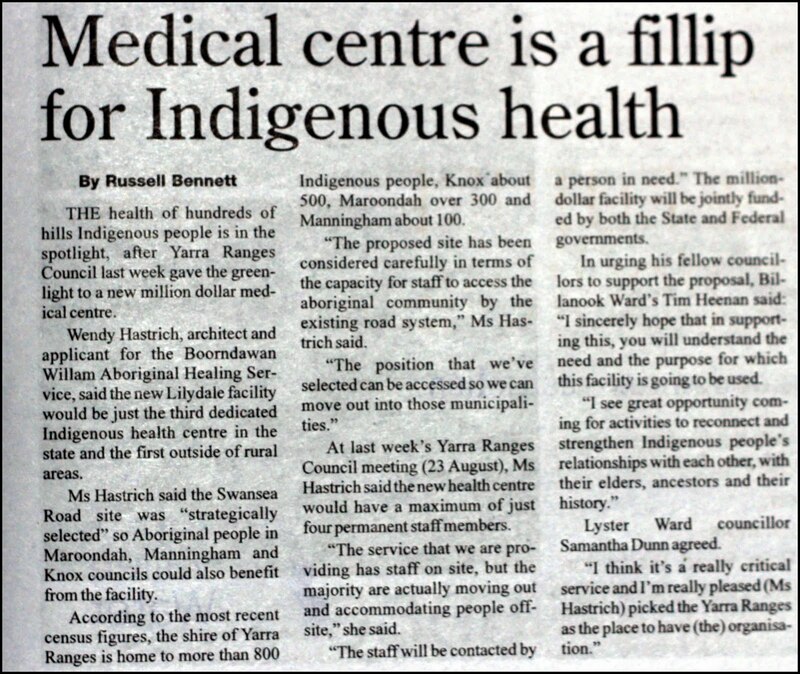 It is an issue that is constantly being raised as an issue, particularly in Selby, Belgrave South and Tecoma. Council has long advocated to get a 50kph zone through these towns to make it safer for pedestrians as well as road users. The current review being undertaken by VicRoads is a great opportunity for you to tell VicRoads what you think the speed limits in our town centres should be. 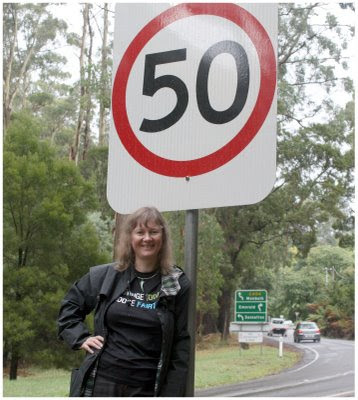 In the past the VicRoads criteria to allow 50kph zones has been woefully inadequate when applied in the Dandenong Ranges as many of our towns do not have 200mt of retail development on both sides of the road but are clearly in need of lower speed limits. Congratulations to Hills Hoist and it's presenters, Jenny Hall and Emma Johnson. Pictured left to right: Jenny Hall, Cr Samantha Dunn and Emma Johnson in the 3MDR studio. 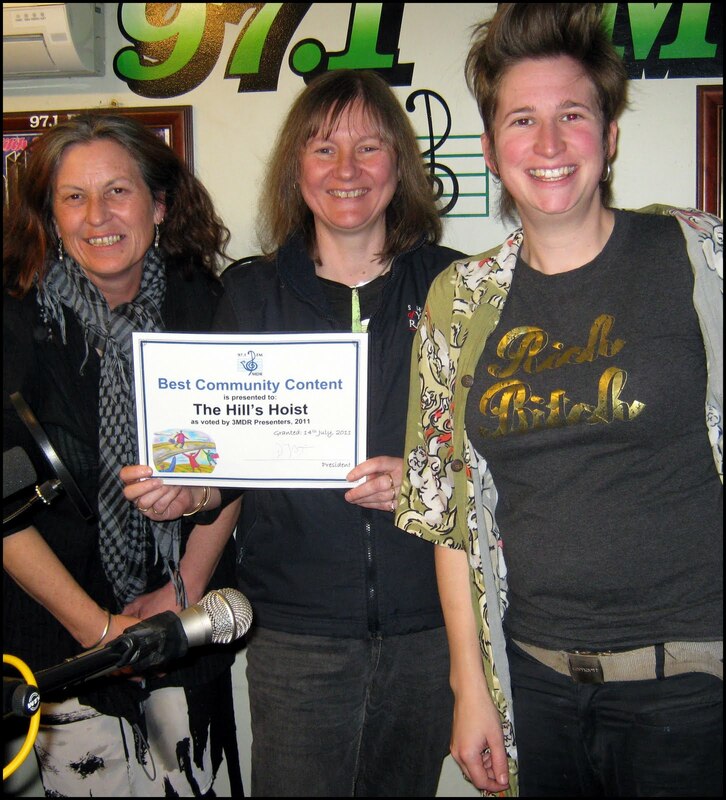 The Hills Hoist, local arts radio show on community radio station 3MDR (97.1) took out the Best Community Content award in a recent vote of listeners. 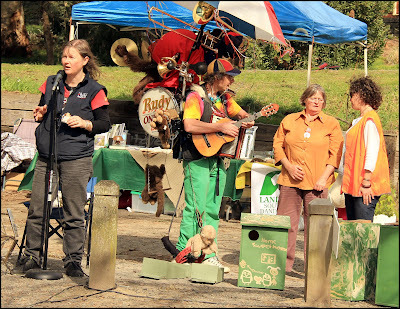 The Hills Hoist is dedicated to bringing the latest arts news to listeners in the Dandenong Ranges. They provide regular features, including the recently launched Live Sessions, and a weekly gig guide. It's a great show and compulsory listening for those interested in the local arts scene. Lilydale’s main street has been chosen as the subject for a national landscape design competition. The first Australian Institute of Landscape Architects street design competition was officially launched earlier this month. The competition is designed to attract top level landscape designers of Australia. It’s a wonderful opportunity for this key township in the Shire. Yarra Ranges Council’s urban design team submitted Main St, Lilydale as a suggested town for the competition. It’s a credit to the team that Lilydale was selected as submissions were received from around Melbourne. Lilydale is a Major Activity Centre (Melbourne 2030) and it provides an interesting mix of retail, major manufacturing employers, transport connections, education, with heritage and regional significance. It’s a gateway to the Yarra Valley and an entry point to the Warburton Rail Trail so there’s plenty for Landscape Architects to work with. Competion participants will receive a brief on the town including some challenges it faces, particularly with pedestrian access. people to share their views on what Lilydale should look like. Thoughts and opinions shared through the forum may be used for competition entrants to help with their designs. The competition will run for two months with submissions then judged and presented to Yarra Ranges Council and the community in November. I’m looking forward to seeing some great design ideas for Lilydale. I had the great pleasure of presiding over the elections for the Belgrave Trader's Association for the 2011 AGM last night. The group have a great enthusiasm for Belgrave and work to improve the township through a strategic plan developed in consultation with their members. I look forward to a productive and effective relationship with the Trader's Association over the coming year. Well done to the team at Yarra Ranges who successfully applied for funding for a partnership grant under the Victorian Local Sustainability Accord for Sustainability in the Early Years project. The project involves the development, implementation and evaluation of an Early Years Education for Sustainability Framework and a package of tools to use for teaching and training sustainability outcomes for the early years. It's a great opportunity to spread the Sustainability message in the early years. The Shire of Yarra Ranges will partner with Knox City Council, City of Melbourne, City of Port Phillip and the Alpine Shire Council. Project partners also include Early Childhood Australia- Special Interest Group, Early childhood Sustainability, Tracy Young Convenor - advocacy for education for sustainability practices and principles and the Australian Association for Environmental Education. 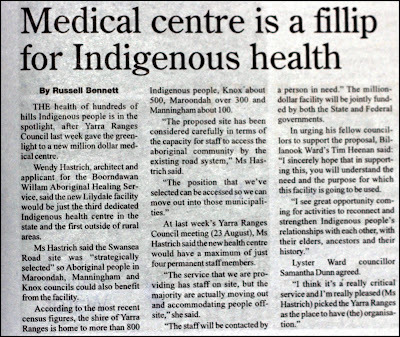 It's great news for Yarra Ranges and I look forward to providing updates on how the project progresses. Today I attended the Say no to McDonalds meeting organised by the Tecoma Village Action Group (TVAG). I was there to provide advice to community members opposed to the application on the sorts of things they could consider in their objections. Community members numbering around 150 were keen to learn more about ways they could fight the application. I reported back to the meeting that council had already received over 500 objections from concerned community members, however I had noted that some objections have not included names and addresses or dealt with matters that cannot be considered within a planning framework. If an objection does not contain your name and address it will not be included as a valid objection so it is important to do so if you want to make sure your voice is heard. 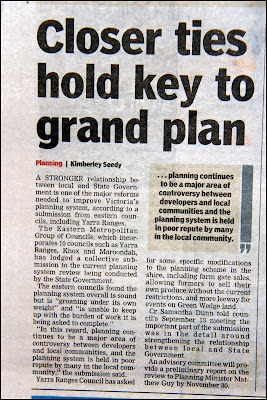 I explained that the Yarra Ranges Planning Scheme provides the legislative framework to allow council to determine the application, therefore anything outside that scope could not be considered as a planning matter. I urged those who wanted to object to ensure that they sent their objections to all councillors, I've noticed that many objectors are sending their submissions to just myself and Cr Cliff, however all councillors vote on the application so it is important to include all councillors. I advised community members that the council meeting date of 27 September to hear the matter, is an indicative date, if there's no hold ups it will be that date, but it could be later, but it most certainly won't be earlier. I talked about the process at council, that both the supporter and objector get 5 minutes to speak to Councillors about the application and only one person from each side gets to speak. I am very certain that the application will end up at VCAT, one way or another, so I also confirmed to those there that every objector will become a party to the matter at VCAT. It was good to be able to clarify some outstanding questions community had, I think it's important that community have a good understanding of the role they play in the planning process. Friends of Birdsland, also known as the Birdsland Environment Collective spent a very productive day at their last working bee. The group are rebuilding the heritage orchard at the Birdsland Reserve (at the rear of the heritage farm cottage) in Belgrave Heights. At prior working bees the group have spent time building swales in preparation for the planting of heritage apple trees donated by the Heritage Fruits Society. 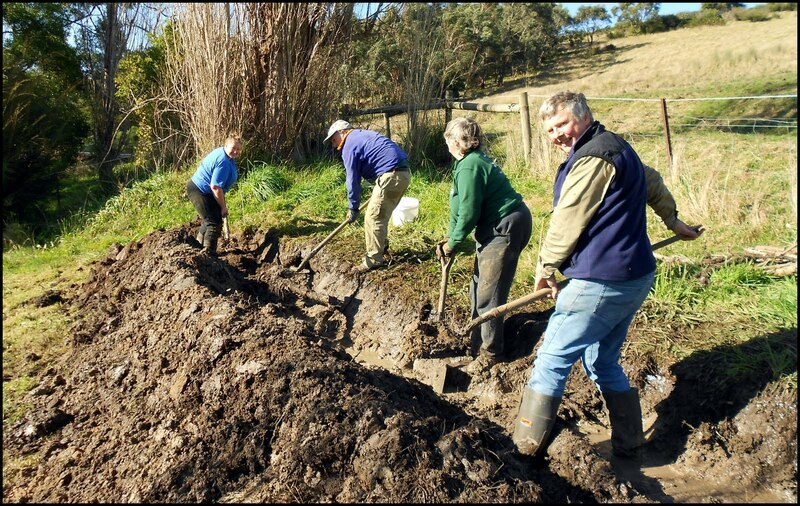 Swales in the orchard will drain away excess water in a plan based on permaculture principles. At the most recent working bee the trees were planted, a great step forward for the reinvigoration of this heritage orchard. 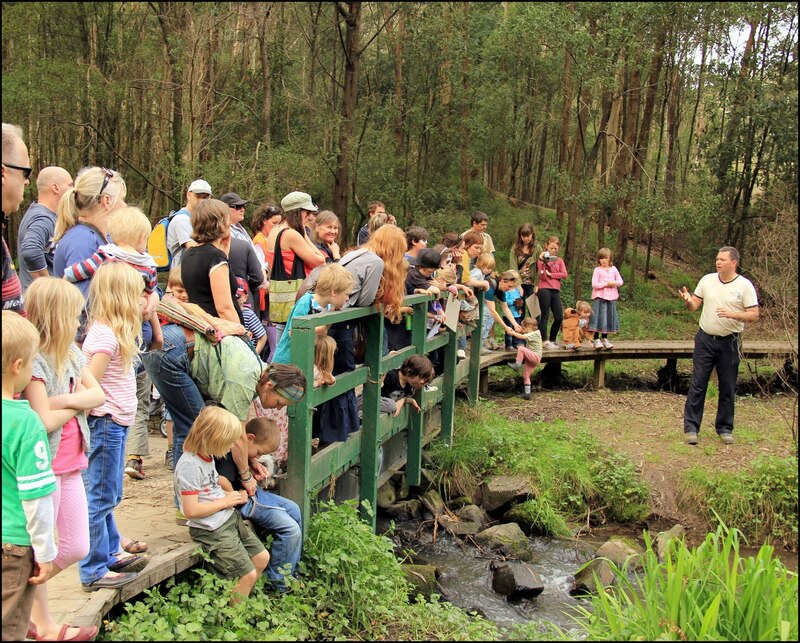 I commend the community for their passion for this project and the Birdsland reserve too. Birdsland Environment Collective (BEC) hold a working bee out at Birdsland on the last Sunday every month, between 10am and 12pm. All are welcome. If you'd like to know more about the activities of BEC please email birdslandenvironmentcollective@gmail.com. It was wonderful to join with the Warburton community at the very first film screening at the Mecca Theatre using the newly installed digital projector. 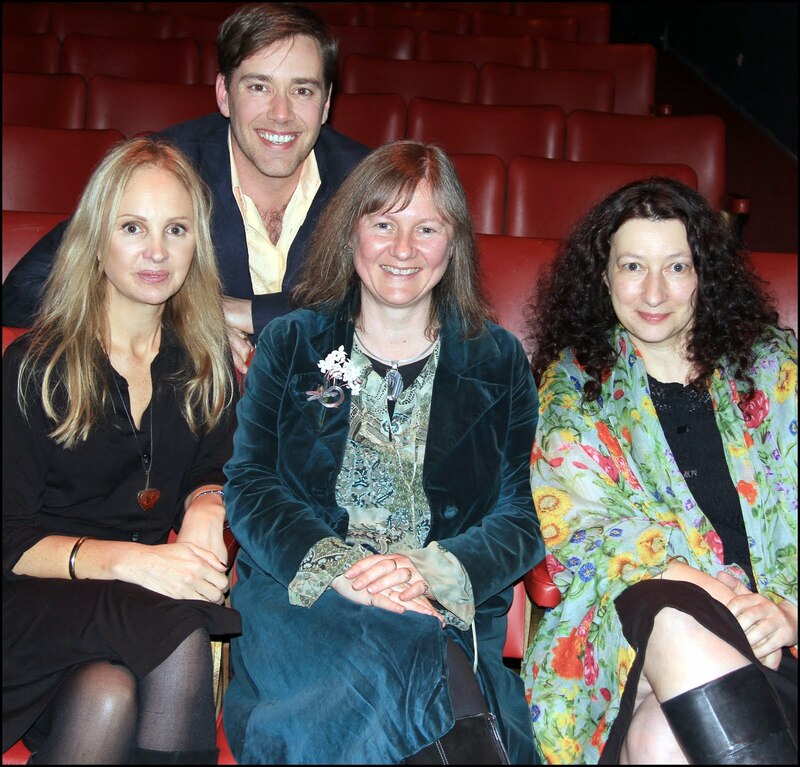 Pictured left to right at the newly refurbished Mecca Theatre at the Upper Yarra Arts Centre: Kate Whitbread -Co Director, Producer, Spencer McLaren – Producer, Actor, Cr Samantha Dunn - Lyster Ward, Shire of Yarra Ranges and Sandra Sciberras – Co Director, Writer. Warburtonians were treated with a premiere screening of Surviving Georgia, a film shot in Warburton and featuring many local identities as extras. 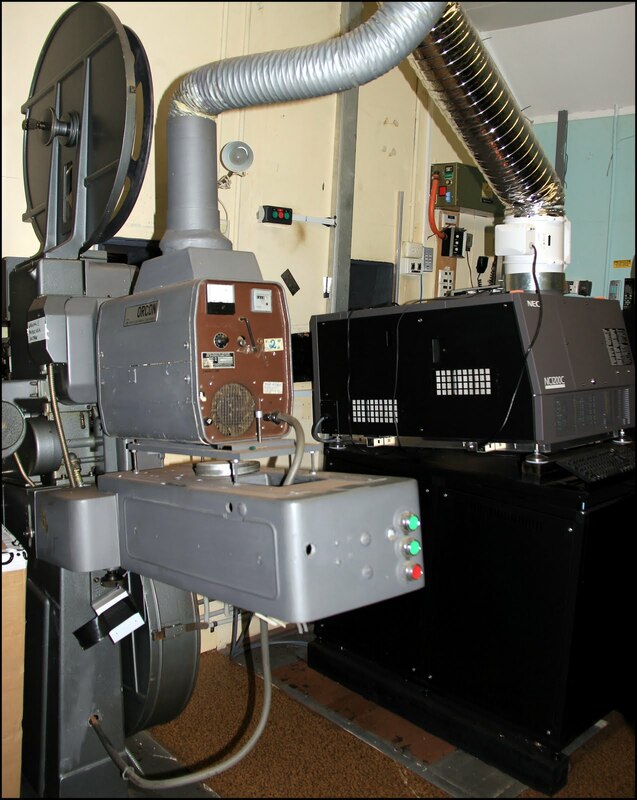 Council is committed to providing high quality projection to the local community and last night was a great first run, digital technology has delivered an enormous improvement in the clarity and resolution of films and the sound system is great. It was terrific to hear the shouts of delight as locals recognised friends and family and key Warburton locations in the film. Kate Whitbread – Co Director, Producer, Sandra Sciberras – Co Director, Writer and Spencer McLaren – Producer, Actor were there as well and were swamped with questions and congratulations after the screening. Writer, Sandra Sciberras, visited Warburton many, many years ago and the vision of someone fly fishing in the Yarra River stuck in her mind all this time. When she wrote Surviving Georgia she wanted to set the film in the place of her memory. The film depicted the special beauty of the Warburton and it was wonderful to see this gorgeous part of the shire captured in Surviving Georgia. It's a terrific film that opens on October 13 in selected cinemas, click here for more details (or see it in Warby between now and Sunday 11th Sept). If you'd like to see a trailer click here. I'm proud to be able to sponsor the new Hills Hoist Live Sessions on local community radio 3MDR. Click here for a youtube of the official launch. 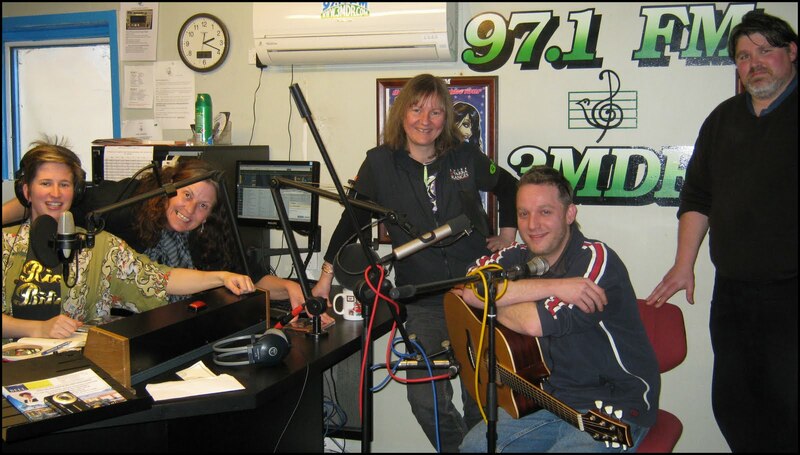 Pictured left to right: Hills Hoist presenters Emma Johnson and Jenny Hall, Cr Samantha Dunn, local performer Guy Mallaby and sound engineer Dave Stergo. The Hills Hoist Live Sessions will provide opportunities for local bands, musicians and singer/songwriters to play current material live to air whilst being professionally recorded for future playback by Dave Stergo. Performers will also discuss their material, influences and other local musos and the local music scene. The Live Sessions were launched on the 2nd September, where local guitarist Guy Mallaby kicked of the live sessions for the year. It was great to be part of it and I'm pleased to be able to support live music on community radio in the hills. Hundreds of people attended a community forum on the proposed Rowville Rail project at Monash University last week, strengthening the call for the long anticipated project. It was a great opportunity for the community to provide input into the study, which if delivered would see a 12km rail line constructed between Huntingdale and Rowville. This rail link is so important to this corridor of Melbourne, which has been crying out for improved public transport options. A well designed railway line in this area would provide the public transport option residents and business want and need, whilst reducing road congestion. Monash University is one of Melbourne's major universities and is growing every year, the students there are in deperate need of improved public transport. Rail to Rowville would also bring broader economic benefits to the region by making existing businesses more accessible and encouraging other businesses to come to the area. The Eastern Transport Coalition supports the public and their keeness to see a plan for how the government will deliver heavy rail to Rowville as soon as possible. It was terrific to be part of the third annual Awesome Ornithorhyn-kids Day, at the Belgrave Lake Park. Organised by the Southern Dandenongs Landcare Group (SDLG) and supported through a community grant from the Shire of Yarra Ranges, families had a great day learning about not only about our local platypus but the importance of habitat to all of our wildlife. Today I was launching a new 'housing policy' for some of the local wildlife. 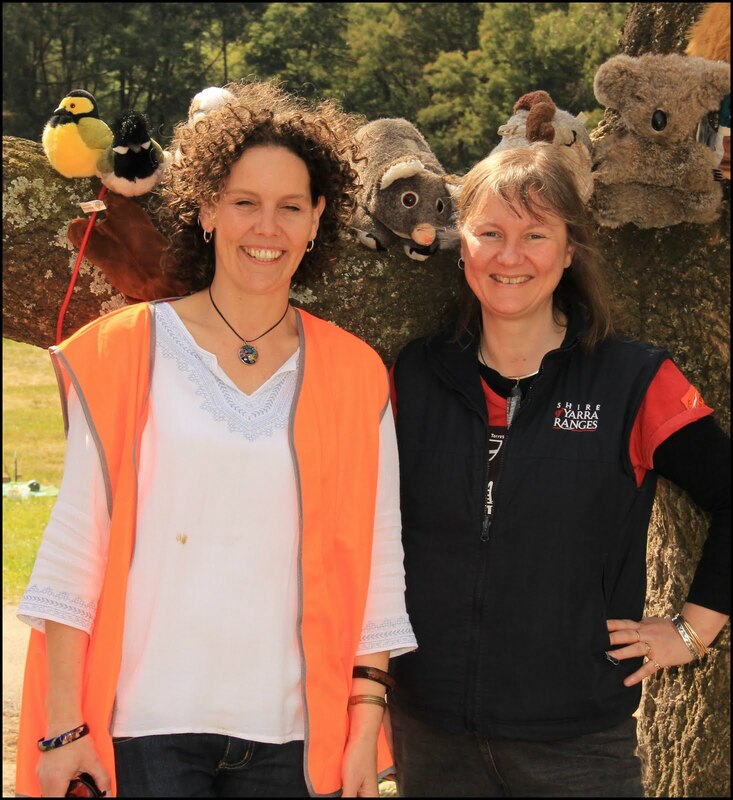 Here I am with SDLG secretary, Vicki Boyle and some new homes for Sugar Gliders, Kookaburras and Rosellas. 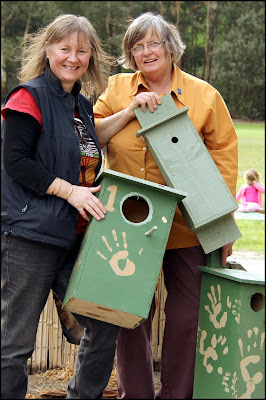 SDLG and Monbulk Landcare Group have working away constructing an assortment of nesting boxes for our wildlife. The nesting boxes will be installed in Shire reserves at Belgrave Lake Park, Birdsland, Butterfield Reserve and Moores Road Reserve. 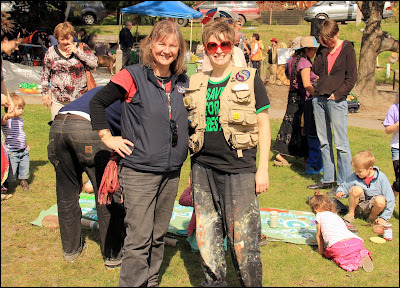 Part of the day's activities included banner painting led by local artist pictured here, Emma Johnson. Kids very enthusiastically painted all manner and colour platypus on the banners, which will be used to the promote the event into the future. SDLG were able to provide a myriad of activities for children including a wildlife display by Animals of Oz. 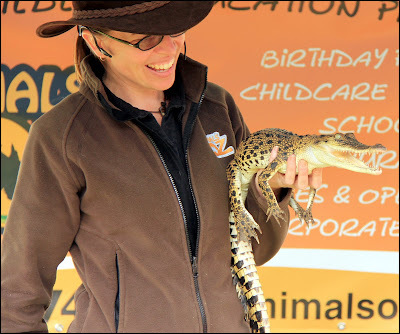 Other activities included platypus art, storytime, singalongs and Rudy the One Man Band. 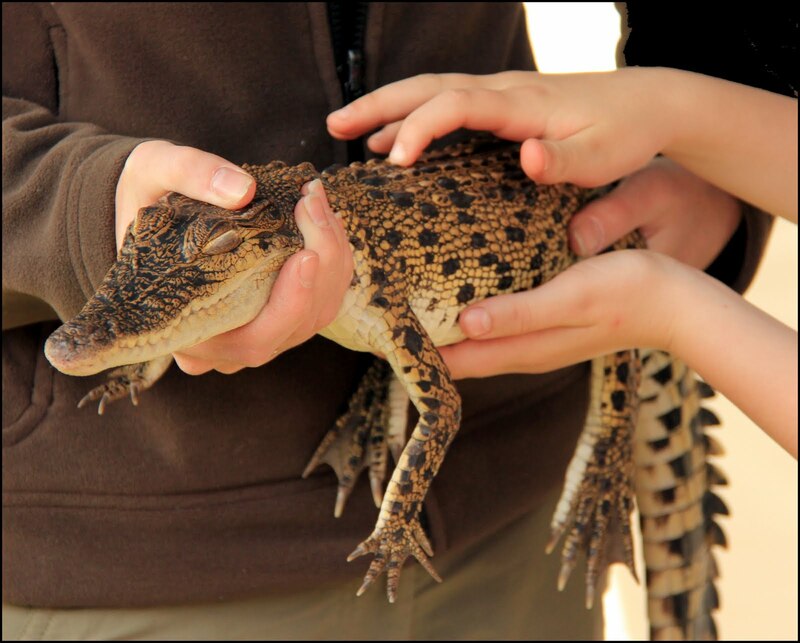 Many small hands were keen to pat the croc, not to mention the snake, frill-necked lizard and the bat too. In speaking to onlookers I talked about the new 'housing program' and how important it was to continue to provide opportunities for our native animals to nest as pressure on our natural environment continued to increase. 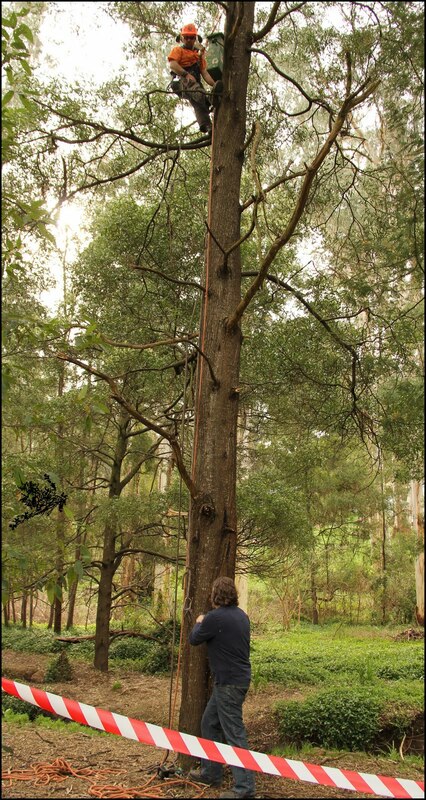 I also talked about the importance of retaining trees with hollows and how the incremental loss of trees with hollows, both legally and illegally, has had a large effect on wildlife over the broader landscape. 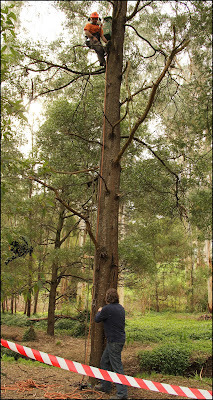 Here's Blair installing the first nesting box near Monbulk Creek at Belgrave Lake Park. Glenn Brooks-McMillan from the Cardina Catchment Landcare Group spoke about the importance of healthy waterways for our local platypus population. Another treat for people on the day, the local Powerful Owl roosting nearby. 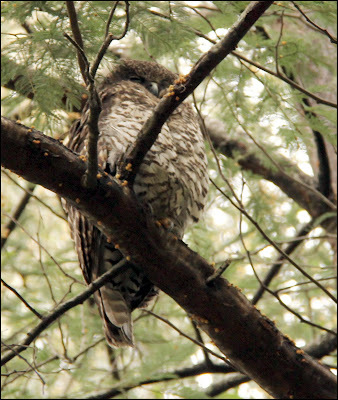 This species is listed as threatened and vulnerable in Victoria. Pictured here, Jackie Glenn, President of SDLG and myself. The SDLG work tirelessly to improve our environment and raise awareness of environmental issues in the local community. It was a terrific day out, very well attended, the SDLG intend to make Awesome Ornithorhynkids an annual event. Let's hope next year our nesting boxes have some residents.